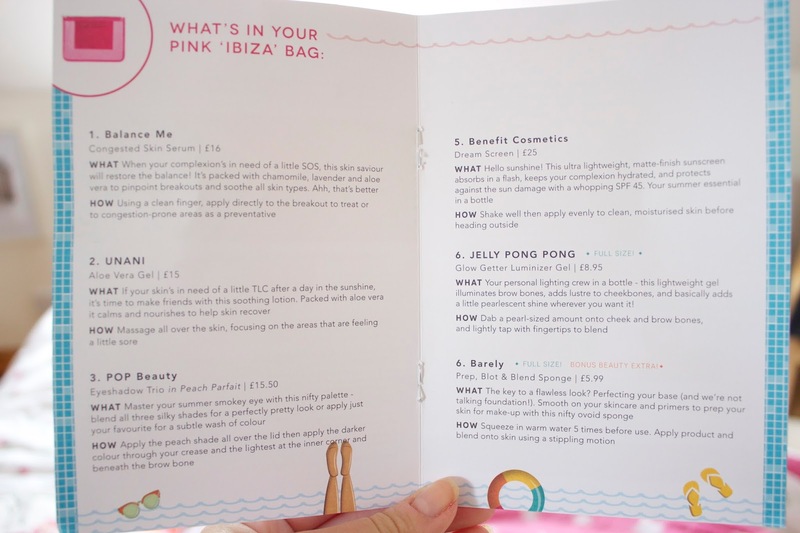 This month's Birchbox, or should I say "Birchbag" was probably my favourite one ever, I think it was a great mix of products and there wasn't a product that I didn't like or won't use. The bag is super handy for travelling or for holidays and they come in four different colours. My favourites from this month's selection was the POP Beauty Eyeshadow Palette, the shadows are super pigmented and soft so are really easy to apply and achieve a bronzey, smokey eye. 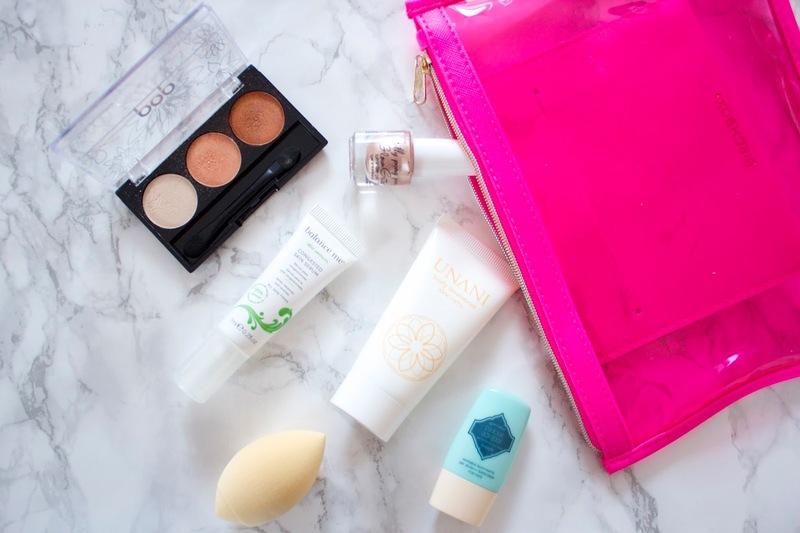 Also a great small palette to travel with as it hardly takes up any space at all! 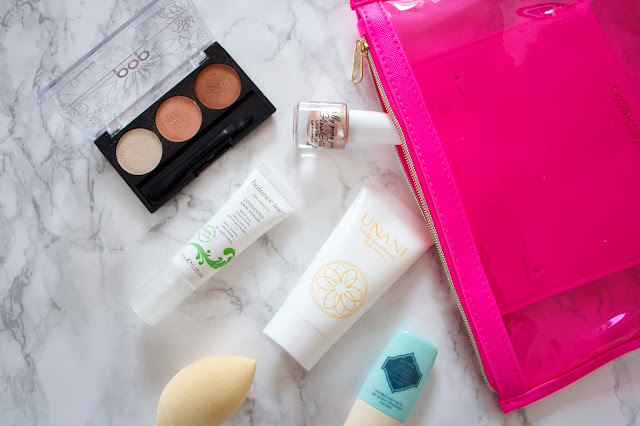 I also really like the Barely makeup sponge, I love most sponges and my beauty blender is my go to tool for applying foundation so this is great. This is quite small so you could use it on your face, however I think it works really well to blend in concealer under the eyes as it fits in the smaller section. The Jelly Pong Pong highlighter is another favourite from the bag, I much prefer cream and liquid highlighters to powder highlights and this is such a pretty and natural highlight!